Stay warm and dry in your wheelchair accessory when the weather is cold and wet! This shearling lined unisex water-repellent winter poncho is great for all wheelchair users and will be especially appreciated by people for whom dressing may be difficult. It slips over the head in one easy motion. This wheelchair accessory is made to overcome the nastiest types of weather. It has super warm shearling lining with a waterproof Supplex shell. 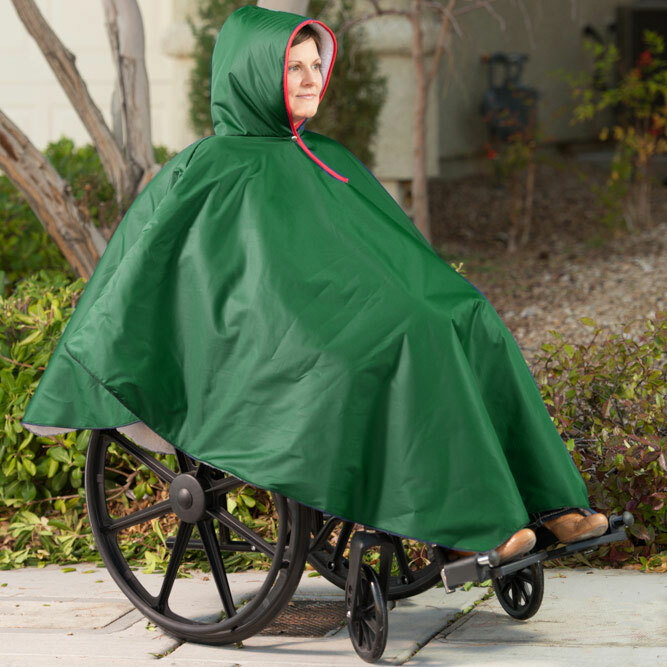 Full length front assures protection from rain from head to toe while the truncated back prevents the garment from becoming entangled with the wheels of the wheelchair. Perfect for anyone using a wheelchair outdoors.